Ignoring the gloomy weather forecast, a small group met on Saturday at a designated landmark in West End. Though many of the group walk this suburb’s streets on a regular basis, there was a sense of eagerness to view the footpaths with a different perception. The day’s morning stroll was organised by the local Edible Street Tour and guided by Ben Glaneur and his fountain of knowledge. Leading the group away from the weekend bustle of Boundary street, Ben shared a brief history of cultural immigration to the inner city suburb. Plants were also pointed out that were associated with the origins of the immigrants. 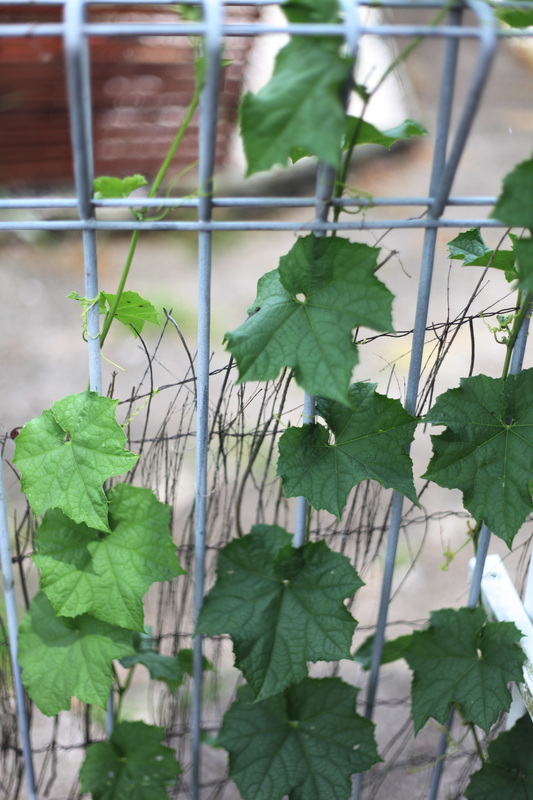 As an example, there is evidence in the streets of West End of immigration from Vietnam in the 1960’s as seen in planted Luffa plants, otherwise known as Vietnamese gourd and used as a substitute for zucchini. The many olive trees spotted not only in front yards but also on the verge of footpaths are thanks to the large Greek population to inhabit West End. Leaves of the Luffa plant. The tour continued to wind around the friendly streets, though stopping at any given chance to point out an unconventional edible. Ben often added in cooking advice to the bountiful information shared. When a Cassava plant was pointed out, or Tapioca root, the group were delivered a disclaimer that the leaves contain cyanide. Before consuming, it is best to boil them for an hour to avoid any side affects. Another of the more exciting plants to find was an Amaranth plant who’s seeds can be ground down to make flour. Reaching Dornoch Terrace the group were asked to look more closely at the tree lined street. Well placed, like a trophy for hiking up the hills of West End, , the trees and the ground were covered in Tamarinds, commonly found in Indian chutneys. 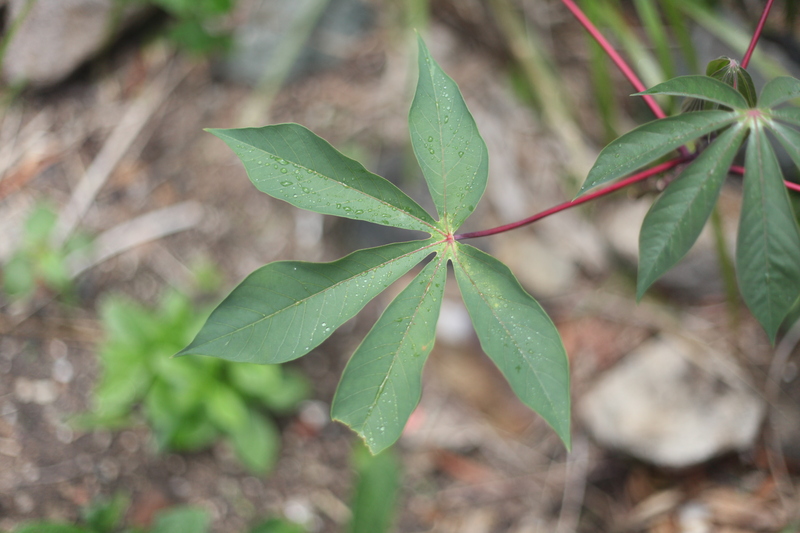 Leaf of the Cassava plant. 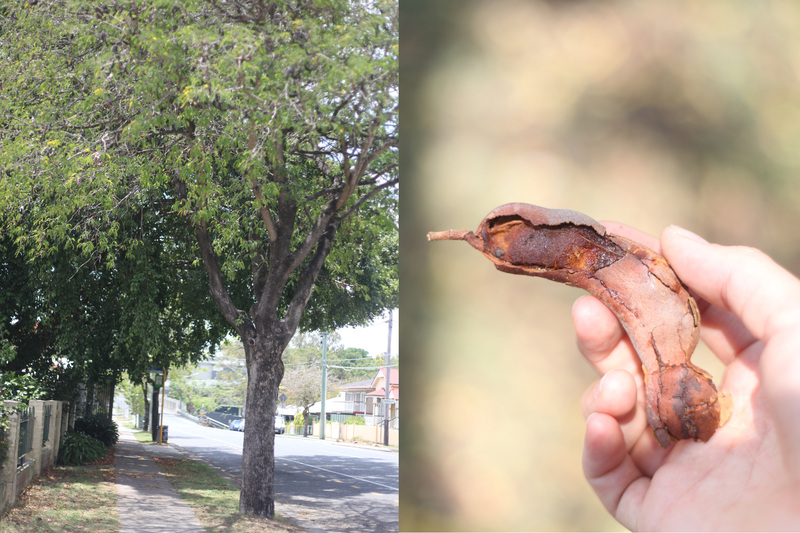 Tamarind trees on Dornoch Terrace and the seed pod enclosing fruit used in chutneys. After visiting and discovering too many trees and plants to name here, the Edible Street Tour ended up in the Paradise street community garden. The group could freely wander as the time remaining was opened up to questions. If the prospect of finding your own food in public and wild spaces excites you then you will definitely enjoy this tour. Having said this, it is extremely important to remember not to just put anything you think looks edible in your mouth. To avoid any illness or even death it is necessary to know exactly what you are consuming and also plants that look similar. Books such as the Weed Forager’s Handbook, written by Ben’s brother, Food Plants of the World, Medicinal Plants of the World and Mind-altering and Poisonous Plants of the World are great reference points for edible and non edible plants.